A Weekly CoinWeek Column by Greg Reynolds…. This discussion has two linked themes. The first is the implications of the results of the third Gardner sale for markets for rarities and the second is the results for rare half dollars in this auction. As was the second Gardner sale on October 27, the third event was held at the Waldorf Astoria Hotel in New York. On Tuesday, May 12, the sale began at 1:00 PM and continued for several hours. Other than Heritage employees, there were more than 20 people in attendance, though not all at the same time. The mood at the event was cautiously positive. Prices seemed to be higher than most bidders at the sale expected prices to be. Some six hundred coins were auctioned, all of which were consigned by Gene Gardner. This third offering of Gardner’s collection featured coins of most all types of classic U.S. coins. In the context of rarities, the quarters and halves were the leaders in this sale and, to a considerable extent, in the whole collection when it was intact before the first Gardner sale on June 23, 2014. The total on Tuesday was $13.78 million, though such a total does not shed light upon the quality or rarity of the coins sold. Gardner formed the all­ time greatest collection of Liberty Seated coins overall and excellent sets of Barber coins, along with great groups of bust silver coins. In addition, his sets of copper coins are significant. This third sale also featured exceptional Three Cent Nickels and Three Cent Silvers. I would enjoy writing a 400 page book about the Gene Gardner Collection, if I had the time. As it is not practical to cover every aspect of this auction here, general comments about the overall results of this sale are followed by detailed discussions of rare half dollars. An analysis of Gene’s quarters will occur in the future, as it would not be fair to just skim over them in a post­ auction report. His sets of Liberty Seated and Barber quarters are among the greatest achievements in the history of coin collecting. It is likely that Gardner had the all time greatest set of Liberty Seated halves as well. Gene’s set of business strike Barber halves is among the 10 finest. Although I am far more excited by the quality, rarity and pedigrees of classic U.S. coins than I am in studying market directions, I am aware that many coin buyers would like to learn about price trends and I enjoy reflecting upon changes in coin markets. It has come to my attention that many coin buyers would like for me to write more about market realities and movements in prices. I refer to coin market conditions in the past and present. I am not putting forth predictions of future prices. Markets for rare U.S. coins rose rapidly, with some sharp upturns and a few downturns along the way, from 2002 to the middle of 2008. A boom in coin collecting actually started around 1997. The severe recession of late 2008 and 2009 resulted in a decrease in coin prices, though to a lesser extent than decreases in the prices of most other collectibles. Prices for most rare coins fell from 10% to 30%, perhaps around 15% on average. Prices for some rarities did not fall at all during the recession. Coin markets fared much better during the 2008­-09 recession than coin markets fared during earlier recessions. For the coin business, the recession of the early 1980s was particularly brutal. After downturns, coin markets sometimes ‘bounce back,’ and turn around very gradually during other periods, such as in the mid 1990s. From late 2009 to early 2010, markets for rare U.S. coins ‘bounced back.’ Prices for rarities substantially increased, though market levels for most rarities did not quite reach respective levels that were reached during 2007 or the first seven months of 2008. Since the middle of 2010, the trend line has been about level, with ups and downs in actual prices in various series. I am here referring to rare U.S. coins, thus not to generics, modern coins or bullion. Pre­ 1793 items are a separate matter as well. Condition rarities of coins that are at least moderately scarce overall are rare U.S. coins in this context. Although a coin is rare if fewer than 500 exist in all grades, extremely scarce coins are often classified as rare U.S. coins for the purpose of interpreting markets of classic U.S. coins. I define the term ‘rare’ in other discussions. To provide an idea of current market realities, I am discounting, in my analysis at the moment, coins that Gardner purchased from 2013 to 2015. He seemed to have then been on a tremendous buying spree and such coins are just too stale to give much indication of market prices. The terms fresh and stale are unrelated to the quality of a coin. They relate to its appearances in public offerings or dealer inventories. Traditionally, a coin needs to be ‘off the market,’ meaning not publicly offered in the mainstream of the coin collecting community, for more than five years to be ‘fresh.’ Stale coins tend to bring weaker prices than fresh coin when offered at auction. 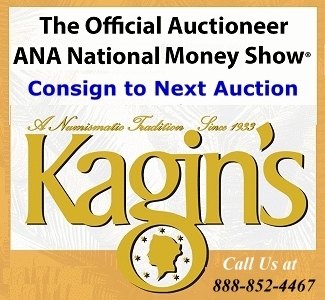 The reasons for this cultural norm are outside of the topic of the current discussion, though some relevant points are put forth in my general article on auction prices. Easily recognizable coins that are consigned to auction soon after they were purchased at auction become stale, and tend to bring lower prices than they recently realized, for Gene Gardner or anyone else. This is usually true whether markets for rare coins are rising or falling. There are cultural, psychological and logical reasons as to why stale rarities sell for less, which I will discuss in the future. Such reasons, however, tend to relate to experienced collectors and other veteran coin buyers. The fact that stale famous rarities tend to be selling for substantially less than prices realized in the near past is circumstantial evidence that there are not many new active buyers of famous rarities. New entrants are usually unfamiliar or less familiar with the concept of freshness and would perhaps be enthusiastic about buying coins for prices that are significantly lower than the prices that the exact same coins realized in the near past. Although the Ostheimer-­Richmond­-Gardner 1870­-S silver dollar, one of nine known, has been offered at least five times since 2004, and has been seen at multiple coin conventions, a new and interested buyer who is unfamiliar with the culture of coin collecting would probably be more likely to focus on the fact that it sold for $763,750 in January 2014. This 1870­S silver dollar brought $505,250 on May 12, 2015. There is a good chance that another participant could have acquired it for less than $763,750. In my view, the $763,750 result in 2014 was very strong and the current $505,250 price was weak to moderate. In some cases, auction prices rise to retail levels and, in other cases, they remain at wholesale levels. A moderate auction result is around the border between the wholesale and retail price ranges. It is thus difficult to draw conclusions about market realities from the results of auctions. In January 2014, Gene might have figured that he just had to own an 1870­-S silver dollar before he finished his collection. Although I am unaware of the thoughts in his mind at that time, it seems likely that he knowingly decided to pay a retail price for it, as he did for many other coins during the last seven years or so. 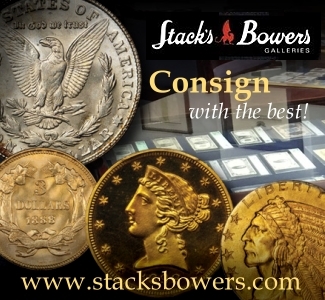 It is typical for collectors who very much demand specific coins to pay retail prices for them. Another example in this auction is the Eliasberg 1838­-O half. 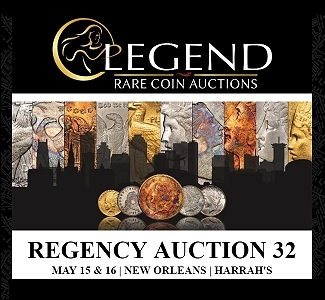 It is the rarest, most famous and most valuable coin in this sale on May 12. There are fewer than thirteen in existence. Coincidentally, the same coin was auctioned for the same price, $763,750, on the same night in January 2014, as the just mentioned 1870­-S dollar. Neither should have, from a financial perspective, have been offered again, a mere sixteen months later. The Eliasberg-­Gardner 1838­-O realized $646,250 on May 12, 2015. 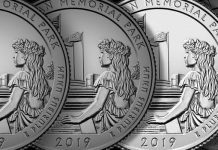 John Albanese states that “it brought a wholesale price.” In my view, the rapid re­-offering of such a coin has a dampening effect on the excitement and aura that surrounds the coin and bidders in 2014 know that Gene is no longer a bidder in 2015. Do declines in market prices for pre­-1856 Proof Liberty Seated coins constitute an argument against my hypothesis? A large share of the surviving pre­-1856 Proof Liberty Seated coins have traded often over the last 10 years, and many of these have become very stale. When the same exact rarities are offered over and over again, fewer bidders become enthusiastic about them. In addition to the phenomenon that stale coins bring lower prices than fresh coins, it is true that market prices for pre­ 1856 Proof Liberty Seated coins have fallen over the last five years, an exception to the rule that is the center of my hypothesis. The significance of such price declines, however, has been exaggerated. Yes, it is true that a collector who purchased many pre­ 1856 Proof Liberty coins during a period from 2006 to 2013 may incur financial losses as a consequence of changing market realities. Even so, pre­ 1856 Proof Liberty Seated coins tend be extremely rare. For many issues, fewer than seven are known. For several, just one to three are known! The total number of Proof Liberty Seated coins, for all dates and denominations from 1838 to 1855, is very small. The decline in value of these has not substantially affected markets for rare U.S. coins overall. Business strike Liberty Seated coins and bust silver coins have not been impacted by the decline in value of early Proof Liberty Seated coins. The total value of all pre ­1856 Proof Liberty Seated coins is less than $35 million , a very small portion of the value of all rare U.S. coins. In January 2013, the Carter 1794 silver dollar sold for more than $10 million! Collectors are more likely to remember the one Proof Liberty Seated coin that fell in value by 30% than 10 rarities in other series that have each increased in value by 3% during the same time period. Many rarities have increased in value since 2010, though many just slightly. My hypothesis holds that the trend line for the total value of all rare U.S. coins has remained about the same since 2010, with many fluctuations along the way. I am not suggesting that the values of all rare U.S. coins have remained about the same. 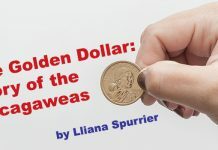 It is promising that rare coins from the Newman and Gardner Collections have been absorbed in a healthy manner by the coin collecting community. 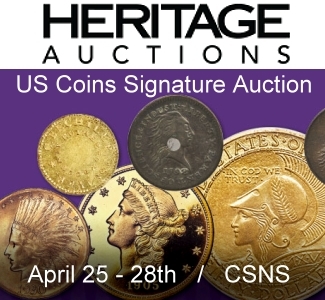 Within a matter of days of the surprising announcement in June 2014 that the Pogue Collection would be sold at public auction, bust silver coins in the first auction of the Gene Gardner Collection, on June 23, brought strong prices, on average. On the whole, markets for rare U.S. coins have not moved sharply higher or sharply lower during the last five years. In evaluating the results of this auction, I did not perceive significant evidence of a substantial movement higher or lower in market levels. New buyers have replaced buyers who were not active on May 12. There is not a fading of demand for rarities. There is not a wave or a push on the demand side either. So far in 2015, I have not perceived or learned about a substantial number of new collecting projects, of which rarities are central components, being undertaken. The results in the Gardner III sale and my own research do not suggest that there are many new buyers of rarities, though the Pogue I sale next week may provide additional clues regarding demand for pre­ 1840 rarities. 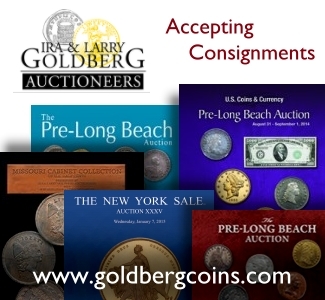 Experienced collectors enjoyed buying coins in the Gardner III sale. The Hawn ­Gardner, PCGS graded MS­64 1796 half dollar, with 16 stars, in this sale brought $329,000. In January 2011, the Goldbergs auctions this same coin for $345,000. This coin was overshadowed by the offering of the Pogue Collection. 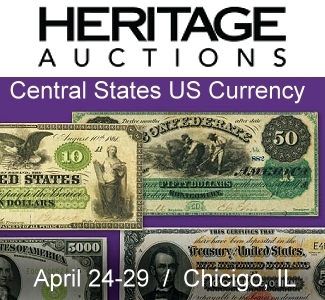 The finest known 1796 and the finest known 1797 half dollars will be auctioned next week, along with two additional 1796 halves in the Pogue I event. So, it is unsurprising that this coin would command less attention in May 2012 and realize slightly less than it brought in January 2011. The result for this coin is consistent with my hypothesis that market for U.S. rarities have remained the same, on average, for the last five years. As 1802 is such an important rarity in the series of Draped Bust, Heraldic Eagle halves, the NGC graded MS­60 Gardner coin is very important, though it, too, was overshadowed by the Pogue offering, which features an epic set of Draped Bust, Heraldic Eagle halves. If this coin did not have a few very deep, though very short, horizontal scratches on Miss Liberty’s neck, experts at NGC would have graded this coin as MS­62. Indeed, I have seen far worse, early U.S. silver coins certified as grading 62. The almost imperceptible light friction on the highpoints is from storage and light to moderate cleaning, not from circulation. 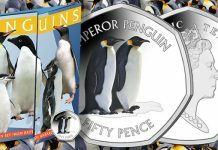 As coins that grade 60 tend to have far more imperfections, in quantity and/or magnitude, than those that grade 62 or even 61, a 60 grade seems fair enough for this coin, though I doubt that it would receive a CAC sticker if submitted to CAC. Even an 1802 that grades in the ‘low end’ of the MS­60 range would qualify to be in the condition ranking. This is an extremely important coin, as the 1802 and the 1801 are the leading rarities in the popular series of Draped Bust, Heraldic Eagle half dollars, which are much less expensive than the ‘Small Eagle’ half dollars of 1796 and 1797. This 1802 sold for $44,650. The same coin was auctioned for $24,150 in January 2002. Is $44,650 a strong price? 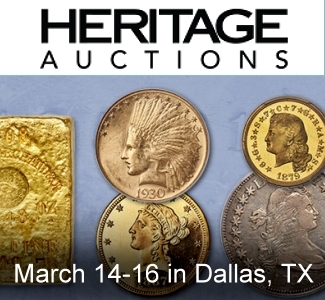 A few certified AU­58 grade 1802 halves have sold for much more at auction in the past. Nonetheless, at least two of those score higher in the technical and originality categories than this coin. 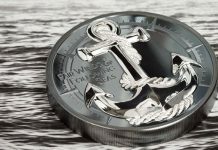 Although an AU­58 grade coin often exhibits noticeable wear, it may be superior in many ways to a ‘mint state’ coin that fairly grades MS­60 or MS­61, which has many other kinds of imperfections. As I had to think about whether the Gardner 1802 is really gradable, it is just not in the same category as pristine AU­58 grade 1802 halves. The 1844­O Liberty Seated half dollar is rare or almost rare in all grades. Those that grade MS­64 or MS­65 are certainly condition rarities. Neither PCGS nor NGC have graded an 1844­O above 65. The Norweb­Gardner 1844­O is PCGS graded MS­64 and CAC approved. In January 2011, Heritage auctioned this same 1844­O for $8625 and, on May 12, it sold for $10,575, an increase of 22.6%. The Eliasberg-­Stickney-­Gardner 1847­O is NGC graded as MS­66 and CAC approved. 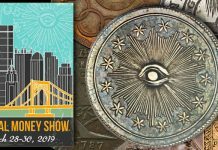 Not all collectors know that Matthew Stickney formed one of the all­time greatest collections of classic U.S. coins, which was auctioned in 1907. This 1847­O is probably the finest known. While it scores highly in the technical and originality categories, its grade is not really in the ‘high end’ of the 66 range. No one would ‘crack it out’ with the idea of receiving a “MS­67” certification. Importantly, 1847-­O halves are rare in all grades. This coin is famous. Though not very strong, the $30,550 result was certainly healthy. In 2012, two NGC graded MS­65 1847­-O halves each realized less than $10,000 each, and a PCGS graded MS­64 coin, with a CAC sticker, brought $8518.75. The PCGS price guide suggests that the lone PCGS graded MS­65 1847-­O has a retail value of “$20,000.” Gene Gardner’s 1850 half dollar was also earlier in the Louis Eliasberg Collection, as were many coins in this sale and quite a few in the first Stack’s ­Bowers sale of the Pogue Collection on May 19. It is generally regarded as the finest known business strike 1850 half. The $117,500 result was strong. Although 1850 halves are rare in all grades, these are not extremely rare; a collector could obtain one in a short amount of time. In November 2013, the Newman 1850, which is NGC graded as MS­65, sold for $15,275 in an epic sale that was characterized by strong to very strong prices. Before this Gardner III sale, the PCGS price guide value for this exact coin was “$50,000.” An 1850 half may have never before sold for as much as $35,000 at auction. The physical characteristics of the Eliasberg­ Gardner 1850, however, are distinctive and a whole discussion, at another time, could fairly be devoted to this one coin. There is a good chance that the Gardner 1850-­O is the finest known. Just two are PCGS graded as MS­66 and both have CAC stickers. I saw the other one before Stack’s­ Bowers auctioned it for $25,850 in August 2013. The Gardner 1850-­O brought $28,200. It is a little better than the other, and these prices realized are consistent with my theory that market prices for rarities have been, on average, about the same over the last five year. While no one pair of auction results demonstrates such a point, I have provided dozens of examples in auction reviews, for years. A Gardner 1841 half is NGC certified as “Proof­64” and is CAC approved. It brought $44,650, substantially less than the $69,000 amount that this exact same coin sold for on May 28, 2008. As I have said many times, however, markets for rare coins were nearing peak levels during the first half of 2008 and peaked at some point in late July or early August. It is debatable as to whether the all­time high was reached in the middle of 2008 or at some point during the period from May 1989 to March 1990. A different NGC certified “Proof­ 64” 1841 half brought $30,550 in September 2013 and slightly less than that amount in January 2013. It would not make sense to argue that the current $44,650 result for this coin is indicative of a recent decline in the market value of this coin. A point here is that, while prices for some pre­1856 Proof Liberty Seated coins have fallen over the past five years, market levels for some others have not fallen and these do not constitute a large part of markets for rare U.S. coins, anyway. At lot viewing sessions and in telephone conversations, I keep hearing that Gene “lost money” on a few pre ­1856 Proof Liberty Seated coins from people who are not grasping or are avoiding discussion of the reality that markets for rare U.S. coins have been stable overall. I will enjoy analyzing Gene’s whole set of Barber Half Dollars, after the fourth and last Gardner sale is finished. It would be great to rank it among the other epic sets, those formed by Dr. Steven Duckor, John Hugon, Louis Eliasberg, Dale Friend, the Norweb family, James A. Stack, Sr., and Dr. Thaine Price. Clearly, Gardner assembled one of the all­time greatest sets of business strike Barber halves, more than 20 of which were in this sale. The $7637.50 result for the 1894-­O is a moderate to strong price and further evidence that market prices have not been falling over the last five years. In February 2013, Heritage auctioned a different PCGS graded and CAC approved MS­65 1894­-O for $6168.75. The Gardner piece is very attractive, naturally toned, and scores higher in the category of originality than that 1894­-O. The $7637.50 result in 2015 and the $6168.75 result in 2013 are consistent with my point that market prices are about the same. Every coin is different, even two that are certified or approved by the same services at the same grade level. 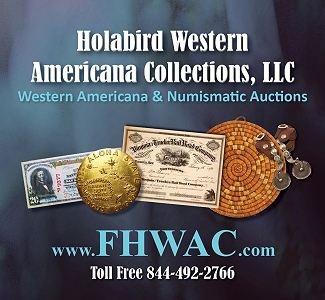 It is newsworthy that the Eliasberg ­Gardner, PCGS graded and CAC approved, MS­66 1896­-S brought substantially more in 2015, $23,500, than it brought in the sale of the Hugon Collection on January 12, 2005, $13,800. Many Barber halves went for strong prices at that sale. In any event, the current $23,500 result in 2015 is considerably consistent with the sale of a different PCGS graded and CAC stickered MS­66 1896­-S half for $21,500 by the firm of David Lawrence in 2012. Of course, there are some Barber halves that have fallen in value over the last five years, especially those that are repeatedly offered. In my view, the Friend­ Gardner 1900 is an excellent coin. It is PCGS graded MS ­66 and CAC approved. It is more than very attractive, with wonderful toning on the obverse. The reverse has much underlying original luster. When Dale Friend’s set was auctioned in January 2009, this coin went for $9200. 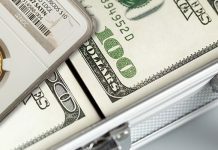 In January 2011, it brought just $6325 and, on Tuesday, merely $4700. There is an explanation in regards to apparent decline in value of this 1900 half. For some reason, several PCGS or NGC graded MS­ 66 1900 halves have been offered over the last four years. At least five others have been publicly offered since January 2013, a marked increase in supply of those available to buyers. In January 2015, a PCGS graded MS­ 66 1900 realized $4112.50. There has not been a recent increase in supply in gem 1906-­D halves. These do not surface often. The Gardner­ Hugon 1906­-D is the only 1906-­D that is PCGS graded MS­ 67 and it is CAC approved. In January 2005, it sold for $25,300. In the Gardner III sale, it realized $47,000, a moderate to slightly strong price. If this coin had been auctioned at any point during the last three years, rather than this week, $47,000 would have been a fair estimate all along. When analyzing auction results and trends in markets for rare coins, it is important to emphasize that each rare classic U.S. coin is distinct in its own way and the value for each coin will usually not remain exactly the same over even a short time. There will be fluctuations. While some coins have recently dropped in value by 2% to 20%, there are others that have risen by the same proportions. On average, markets for rare coins have remained the same for the last five years. If the total value of all rare classic U.S. coins could be practically estimated and charted, the trend line would be, more or less, level, despite some hills above it and valleys below. A directly related trend is that there has been less emphasis on the certified grades on the plastic holders and more focus on the coin themselves. 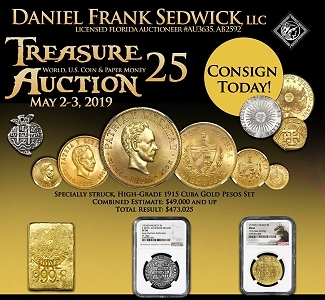 For example, if a coin is certified as grading MS ­66 and most relevant experts would only grade it as MS­65 at most, then it will often (not always) realize a price at auction that is closer to a MS­ 65 level for that coin than a MS­66 level. In my earlier reviews of Gardner sales and in other auction reviews over the last five years, I provide numerous examples of this phenomenon. While the market level for a MS­ 65 grade representative of a particular issue might remain the same, prospective buyers now seek to become assured that a particular coin grades MS­ 65 (or any other grade), in the views of most experts, has changed. Since 2009, there has been much less reliance on certified grades. Gardner’s 1870-S Std Dollar is a perfect example of the slab companies’ practice of “overlooking” serious grade deficiencies – such as the numerous obvious ” naked eye” obverse field scratches on this coin – in favor of a solid EF 40 grade rather than a “damaged” non-grade . One wonders if Gene Gardner, in retrospect, would have purchased the many recently acquired (2012 and later) rarities “just to have them” if he’d known what tremendous losses he would have sustained, in some cases, $50K to $200K plus on certain coins. And whether he would have chosen to have a major auction less than a week before Pogue 1 which most certainly had a negative impact on Gardner’s prices realized. Hindsight for sure, but who purchases at a major auction an expensive coin with knowledge you may have to put it up for sale again in only a few years? Does the pleasure of acquiring a coin surpass the reality of a short term huge financial loss on that coin ?